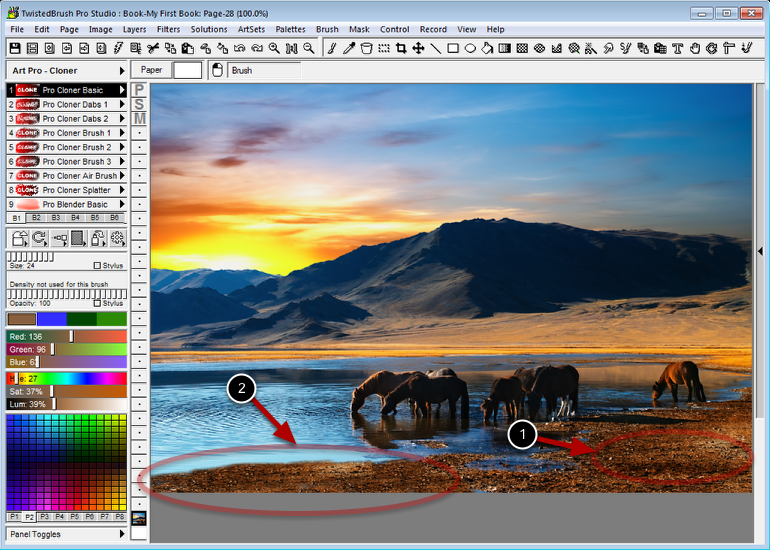 Cloning from within the same image is very useful for photo editing. With the Absolute Offset Position cloning each stroke will begin from the cloning source origin. CTRL + Click to set the cloning source origin point. 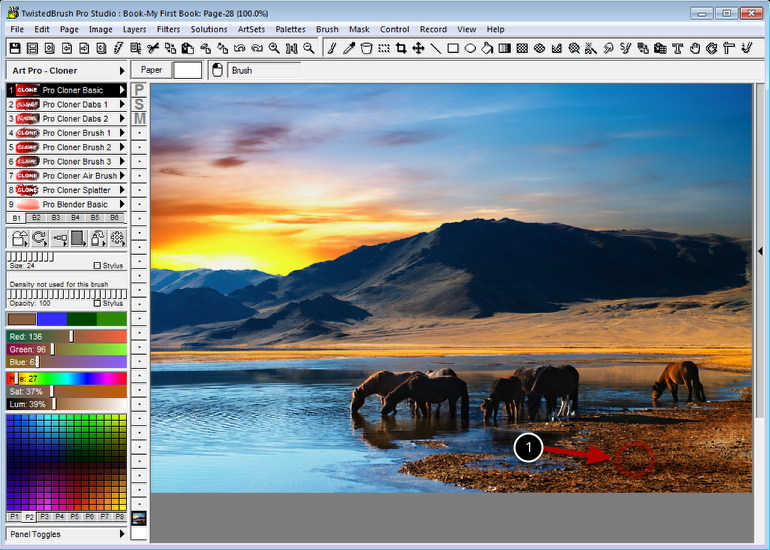 Notice that a cloning brush is selected. Notice the red outlined cursor. This is the indicator of the cloning source point. The general area of the image where the image was copied from. The New area. If you look closely you can see some repeated elements. Since this was the Absolute Offset cloning approach each stroke started from the same origin point. 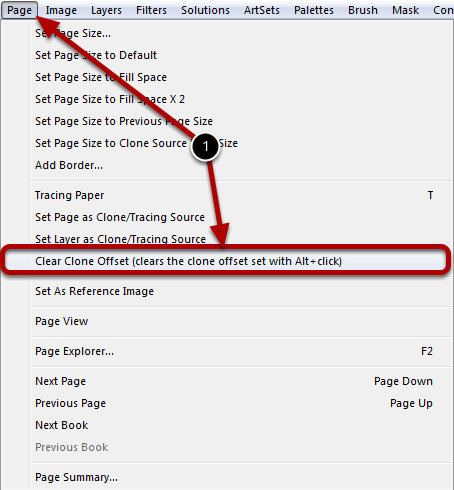 To clear the cloning source select Clear Clone Offset from the Page menu.